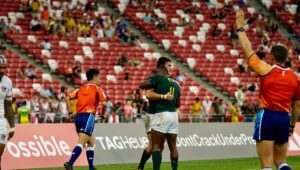 South Africa fought back from a 10-0 deficit to beat Australia 19-10 in the Cup semi-finals of the PE Sevens. 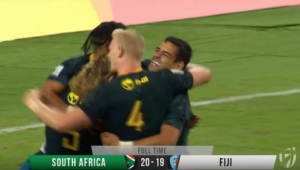 Three second-half tries helped the home side to a win that looked unlikely after Australia scored twice in a minute and the Blitzboks had Cecil Afrika sin-binned. 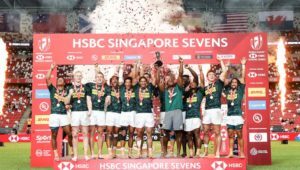 Their 10-0 lead was first cut by a try from Branco du Preez, before Kyle Brown and Werner Kok ran in from a distance to secure a clash with New Zealand in the final (7:25pm SA time). 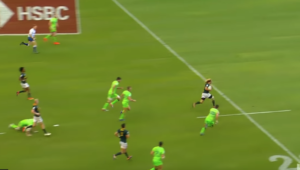 Earlier in the day, the Blitzboks beat England 31-7 in their quarter-final. A brace by Kwagga Smith was followed by another long-range effort by Seabelo Senatla and a well-worked try by Kok.